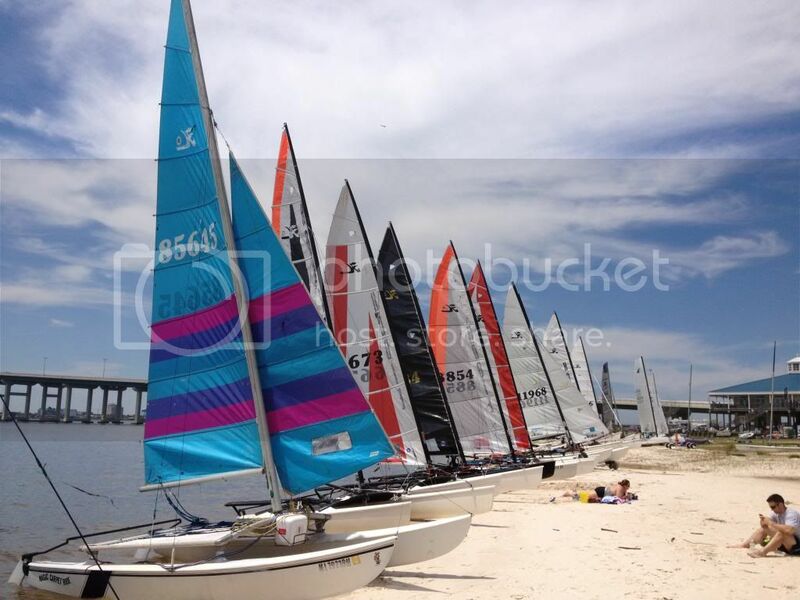 Fun Sail planned for April 4-7th- Weather Permitting! About 12 of us are camping and breaking out out hobie cats that weekend, even have a group of cat sailor guys traveling through town with their hobie 16's to hang out and sail with us too. We're breaking out the BBQ smokers and have some great meals. Everyone is invited! bring friends and family. We're in sites 3-7 and if the water is right you'll see some catamarans parked up on the beach near campsites, feel free to stop by ask questions and even go for a ride! Pic of some fun events down on MS gulf coast we attend a few times a year.